Have you tasted Japanese pickled cucumbers? Or, cucumber and onion salad? This tastes a lot like that - delicious, fresh cucumbers flavored with onion, vinegar, and sugar. Yum! This recipe is adapted from one found in Sam Choy's Island Flavors cookbook. 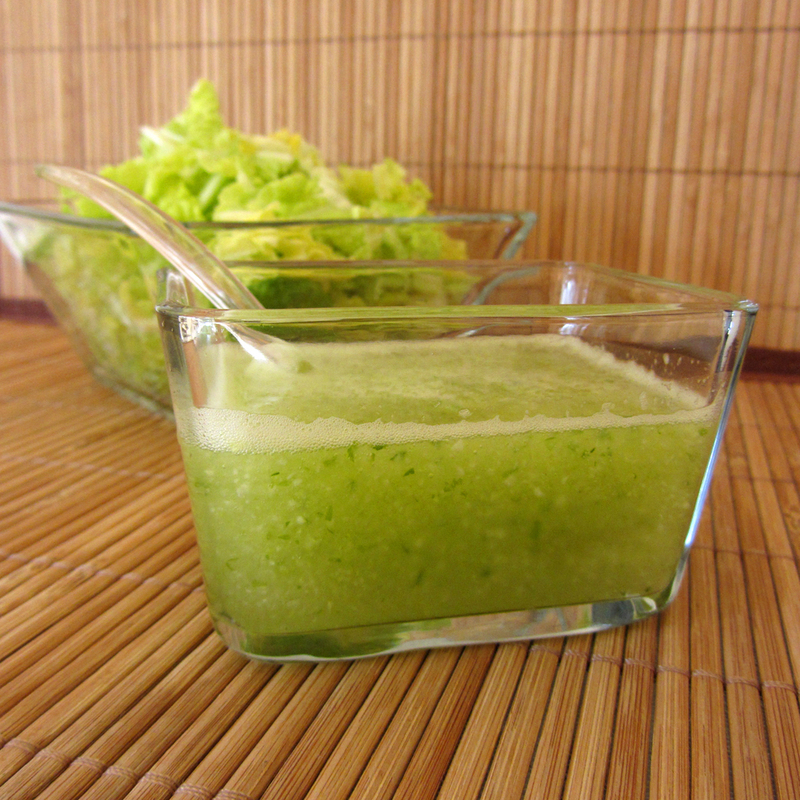 It is a great dressing for cabbage, bok choy, or lettuce. Sam Choy serves it with sushi. However you serve it, it's great. Refreshing and summery, light and flavorful. Yum! 1. Place all ingredients into the small bowl of a food processor. Pulse until the vegetables are pureed. Transfer to a small bowl. Cover and chill for at least one hour. 2. Stir the vinaigrette. Serve!